Size can be mesmerizing and warp sane thought. Costco is a perfect example of the phenomenon. I was so engrossed with an industrial sized jar of mayo that I rationalized its purchase by convincing myself it was a bargain based on cost per ml and the amount of mayo I eat. Long after it’s expiry, I ended up tossing out 2/3 of the jar of mayo because no good comes from eating expired mayo. In hindsight, it was such a waste and I realized I was totally suckered in by the power of size. 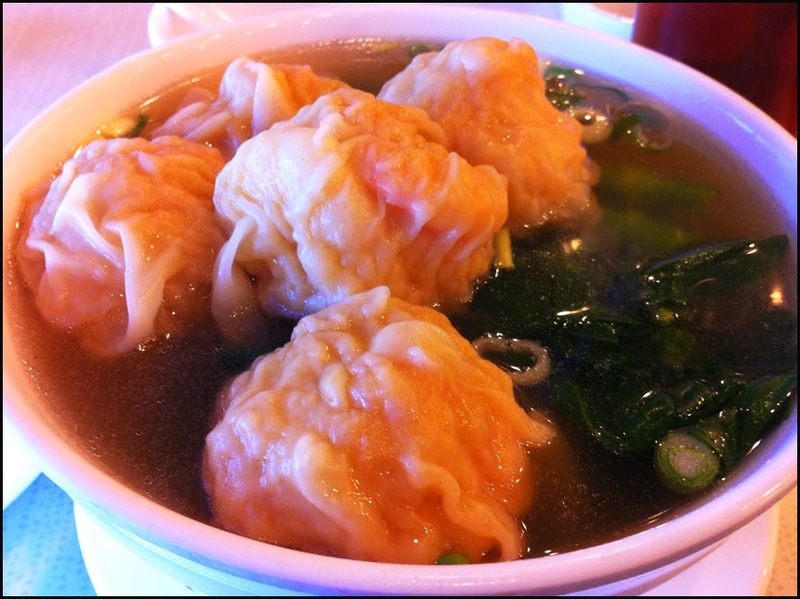 So when I started hearing about gargantuan wontons that were being proclaimed the best in the city, I couldn’t help but wonder if size had cast its spell again, like it does at Anton’s and Stepho’s. When I entered Old Buddies I was initially confused by it’s upscale décor. I was expecting a more low key place for my wonton adventure. Seated in one of the booths that rimmed the centre of the dinning room, filled with white table clothed round tables ready to receive hungry families, I quickly order the infamous wontons with my traditional veggie add-on and iced lemon tea. 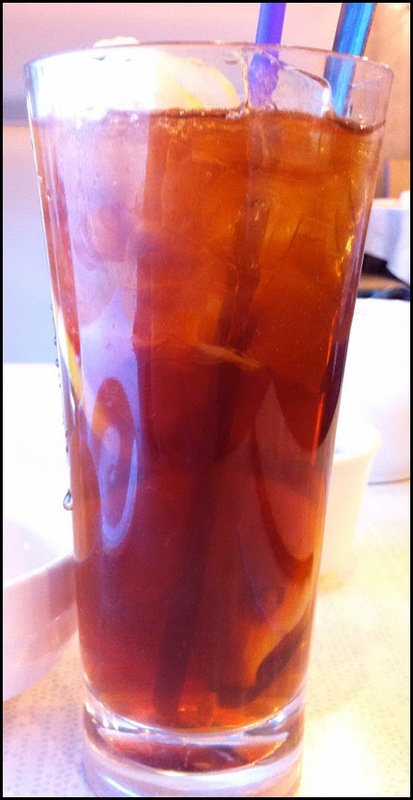 The service I was received was courteous and quick, as my iced lemon tea was set on my table almost immediately after I ordered it. The sweet drink hit the spot, as I was warm from walking to Old Buddies from the Canada line. I knew I was going to get wonton noodle soup that was more of meal, a la Congee Noodle King, rather than the snack size that the generational wontons makers like MaxNoodle produce. However nothing prepared me for these monsters. I sort of felt the arrival of these mega wontons should have been preceded by tremors and loud noises similar to how jumbo supernatural creatures, like Godzilla, make their grand entrances in the movies. These large wontons had whole shrimps, with some pork in it. The texture of the shrimps was firm and overall filling had a nice density to it. The only draw back was I thought the filling was under seasoned and a bit bland. There was not a strong hit of seafood flavour that you would get with a well execute traditional wonton. I wonder due to the size and requisite longer cooking time, if some how cooking water had steeped into the wontons, watering down the seasoning. As for the other components of the dish, the noodles were perfectly chewy but in a smaller portion. Totally understandable give the generous portions of the wontons. The gai lan was crispy and crunchy. The soup gets a gold star for little or no use of MSG as I didn’t feel thirsty after my meal. The broth was definitely complex but I felt it had a very strong chicken taste with hints of ginger rather than a strong seafood flavour with hints of pepper. I would say this was a very good chicken soup with elements of seafood rather than a superior broth featuring seafood as it main taste profile. 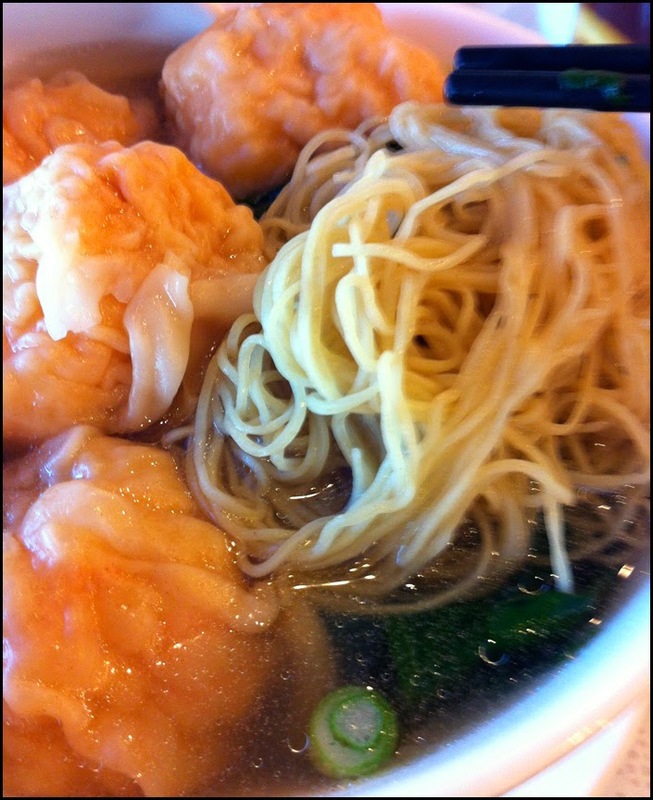 The wonton noodle soup here at Old Buddies is definitely an exceptional version of the dish. I admire the skill required to make these mega wontons without tearing the wrapper. I can say with out hesitation that it is probably the best bang for your buck. However are they the best in the Lower Mainland? Personally, I don’t think they are. When I eat wontons I expect a strong seafood flavour and it simply wasn’t enough in the wontons themselves or in the soup. I needed the dish to have a bolder shrimp/seafood flavour to match the wonton’s ample stature in order for me to proclaim it #1.